This is an authorized translation of Janne ‘Rysky’ Riiheläinen‘s blog post “Valheiden tulivoimaa” in his blog Väkivallaton maanpuolustus ja sen henki on July 21, 2014. The text’s Russian translation is in the blog Глобус Украины. Russia has attacked Ukraine and wages a new type of war. It has been called hybrid warfare, because it combines traditional armed force with cyber attacks, information warfare, trade policy and all manner of other means of coercion and pressure. In addition, maintained plausible deniability is absolutely crucial to the Russian efforts; that means that it retains a way deny its role and meddling throughout the conflict. To achieve this Russia engages in an all-time greatest, and perhaps the most successful, operations of information warfare. We living in democratic societies and in a community of such states have rightly the expectation that lying by politicians or the state have serious consequences. The greater the lie the greater the fallout. Certainly among us there are many who think that those in power do nothing but lie, but in perspective of human experience the use of public power in its various aspects is overall fairly honest. It can be expected that we interpret the world and its events based on these experiences at home. This creates an excellent platform for the information warfare waged currently by Russia. This war on information is part of its efforts to further its goals in Ukraine by force. We tend to think that lies have, at least with a fair probability, negative results to the ones promoting them and thus we assume that the quantity, shade and size of the lies would always be minimized. But now we see that Putin’s Russia has began a huge barrage of lies, half-truths and insignificant pieces of information with the purpose of cowing the rest of the world until Russia has reached its goals in Ukraine. If anything remotely similar were attempted in western countries, that would result in a loss of power and reputation for any leader. Maybe not immediately but soon enough. Among the greatest benefits of democracy is the possibility of changing the ruling class in the next elections. Putin has no need to fear that in Russia. Lies do not have same kind of cost in Russia as we have thought. Firstly, the concept of truth differs from ours. Secondly, the oppressive machine of the state keeps the people in tight check. What Russia also lacks is the archenemy of crooked rulers known as journalism. As long as we have free press and other media there will also by journalists who are vying for their own Watergate. The greatest dream of many a journalist is to find the evidence of misuse of power and topple their own Nixons. This in part keeps western leaders somewhat in line. This more and more transparent world demands also quality journalism to seek truth and give a proper context for complex series of events. The status of media and its taxation has been much talked about in Finland, too. I for one would hope that when deciding on the level of taxes to be levied it would be taken into consideration that a broad, quality media field is a key part of our defense against the evermore ferocious and seemingly endless information warfare around us. Putin’s apparatus in the information warfare uses and abuses very ruthlessly the basic virtues of the western democracy: the freedom of speech and the respect for others and their opinions and most of all, the expectation of clear evidence when proving guilt. Therefore it comes as no surprise that the western public relations giants hired by the Kremlin have more of an auxiliary role when the main direction of the operation and its tone is set directly from Kremlin. Putin’s station as a dictator guarantees agility in both decision making and strategic communication. The Kremlin modus operandi is known from the decades-long delaying action engaged by the tobacco industry. All means are employed to create doubt and alternative explanations even though it was long clear that tobacco is unhealthy to the point of fatal. Right now there is a similar delaying action being taken against the laws and regulations planned to rein in the climate change. And now a massive organization spews out all manner of explanations, excuses and reasonings that make Russia’s aggression appear justified or completely camouflage it. The pawns of this operation are often called trolls. Originally a troll in internet lingo was used to characterize a person seeking to evoke the strongest negative reactions on forums and elsewhere. These types can be found in all aspects of human life, but the anonymity over the internet has made the occurrence of trolling explode. How trolling is done can be illuminated with the discussion that took place years ago in the web forum of a countryside newspaper. There was a post that complained about a prepared ski path being ruined by a moped having been ridden on it. The writer was quite upset and called such a behavior despicable. 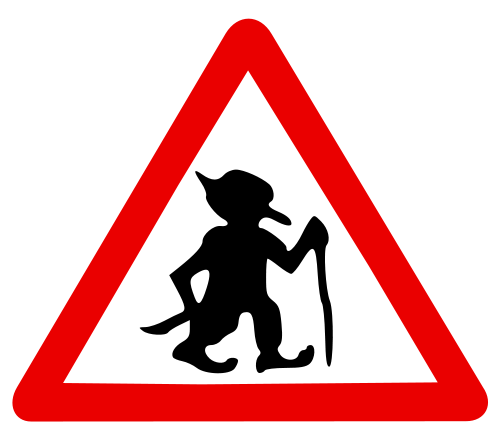 A troll’s clever response was that riding a moped on a ski path is not easy; it requires excellent control of both the vehicle and one’s body as well as good muscles. That was all it took to cause the forum go berserk. Russian trolls come in many forms (in a previous post I classified them based on their motives). In any case these warriors of the information war employ a wide array of weapons taken from a slew of sources that span from advanced rhetoric all the way to school bullying. Trolls create a fog of uncertainty by presenting alternative explanations and at worst they try to silence those with opposing views with fear. Their objective is to paint a picture of wide support for stances favorable to Russia in social media and in comment sections of media websites and in discussion forums. They use these venues ruthlessly to sow seeds of doubt and muddle and confuse the interpretation of events. A regular person can’t expect that someone would knowingly lie to your face only to promote their own, and Putin’s, thoughts. Many trolls act out of a strong conviction and vehemently claim not to be Putin’s pawns. Their cause is for them right, important and just. It comes naturally for humans to try to keep the surrounding world as they have come to see it in balance and when for example the media presents views contrary to your world view, these views can be rejected as false or insignificant. As an example, the looting of the bodies of the MH17 flight was first denied and then explained with poverty and other such things. For the more ideological trolls it is often very difficult to understand that others can be uncertain about their opinion or can even change it as the discussion continues and as new facts are presented. They also easily view common courtesies (mild expressions, apologies, etc) as a weakness or even as an admission of being in the wrong. For a troll showing an unwavering certainty of one’s own view is often central to their thinking. Further, not even a smallest doubt on that view can be seriously considered because such one-sided view of the world, sometimes based on lies, can’t be questioned. An ideological troll from a start can’t accept the world as a complex place or that there is a plurality of valid interpretations. Thus there is no need for fact-checking and frequently adjusting one’s view based on the new information. One having such an attitude can be reasonably assigned the title fanatic or fundamentalist. Understanding this it doesn’t seem surprising anymore that many trolls sincerely think of people of contradicting views as evil. Demonizing is then again a vital step towards the mentality of “end justifies means”. Thus dedicated trolls are engaged in an all-out struggle where the regular code of human behavior has no place. Though the one seen as an opponent by such is assigned the blame of not being civil. Whoever has dealt with people with narcissistic disorder knows how cruel their unfair and illogical behavior is. The full arsenal of unfair communication is utilized: muddling terms, harping, ignoring counter arguments, handpicking facts, deflections, personal attacks and fallacies. Trolls can strike hard at your personal info. The personal details of the opponent, or more like an outright enemy – by the way they are treated, such as background, family, work, can be heavily criticized. Like a school yard bully, the troll looks for a weakness to press on to further his own agenda. People in public have mostly gotten used to these kind of attacks, but for a regular person being targeted like this can be quite shocking. Fear can be a means of controlling both the school yard and discussions in the internet. The main focus of the attacks by trolls are of course in the “more valuable” targets such as politicians, journalists and other leaders of public opinion. But coming out with the wrong opinion you can get in the sights of a troll. Even if it is a headache it should maybe seen as a recognition of the influence of your opinion. Финский тролль @veitera ужасен: не отвечает на вопросы, обзывается, заносчив, лицемерен и туп. К тому же не знает русского языка. A troll with pseudonym Valvontakomissio (the name refers to the infamous Russian commission overseeing the compliance of Finland to the second World War peace treaty; it also ensured that the Soviet Union was treated with respect by the press) stalks me on Twitter and replies to my tweets with his own point of view. Our long back-and-forth ended when he/they began to use Russia in their tweets and wished me in a thinly-veiled manner gone to the notorious Vorkuta gulag where, among others, thousands of Estonians met their fate. Whether there is any point in arguing with trolls, there are two answers both with reasonable arguments for them. Your partner in discussions won’t ever change their mind, and you end up with hurt feelings and also some doubts about your own stance. This could lead to you rather withholding your thoughts because of the lash-back you got last time. Those seeking facts and the truth of the matter are vulnerable to the frazzling and harassing by trolls, because if you actively conveys other points of views and shares links you eventually bump into misinformation. This trolls will not let go and gleefully gloat over it and a polite person will take the complaints by these hecklers and disinformation peddlers at face value. 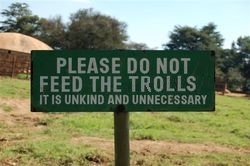 In any case the time and energy spent with trolls is not used for something else that could be more productive. The other side of the argument for engaging the trolls is not without merits. Their activity and their carefully crafted disinformation operations can, at least at times, create a majority in a public debate. If no one challenges them, their illusion of prevalent opinion is complete. The point of harping with trolls is not the futile effort to convert the troll but for the quiet 90% that only read the discussions but never post. I see that challenging trolls in limited fashion is sensible. What it requires is that you don’t take the responses you get personally. You should consider the troll as a defiant child that you need to talk to in calm and reasonable manner, even if they are shouting at the top of their voice and are acting out in the worst possible way. Mostly it is sufficient to express yourself disagreement and your arguments for your stand shortly, clearly and to the point. After that do not engage in further futile arguing. I would like to encourage as many as possible to do just that. My policy now is that I don’t start twisting words with people who hide behind pseudonyms. When one’s name and identity are out in the open, the discussion is practically always more mannerly and fairer. Whether you engage in arguments with trolls or not, one should realize that there is a massive war on information rampant in the world. Finland is one stage were this conflict plays out. The West and the western media have their own blind spots, but they still offer a reasonably reliable picture of the world unlike conspiracy theorists or those who are in the clutches of the Kremlin – even if they would be professionals in media outlets. No one has it all perfectly right but that is no reason to disregard all information as unreliable. It is more the reason to stay vigilant and alert – and active. Translation of Marko Maunula‘s column “Avoin kirje Vladimir Putinille” that was published on the website of Suomen Kuvalehti on July 19, 2014. In general, it is a very bad idea to give political and military support to a mixed troupe of adventurers, fanatics and other troublemakers. If you don’t believe me, ask the Americans. The United States and the Great Britain supported the coup that toppled the government of the previous Iranian prime minister Mohammad Mosaddegh. 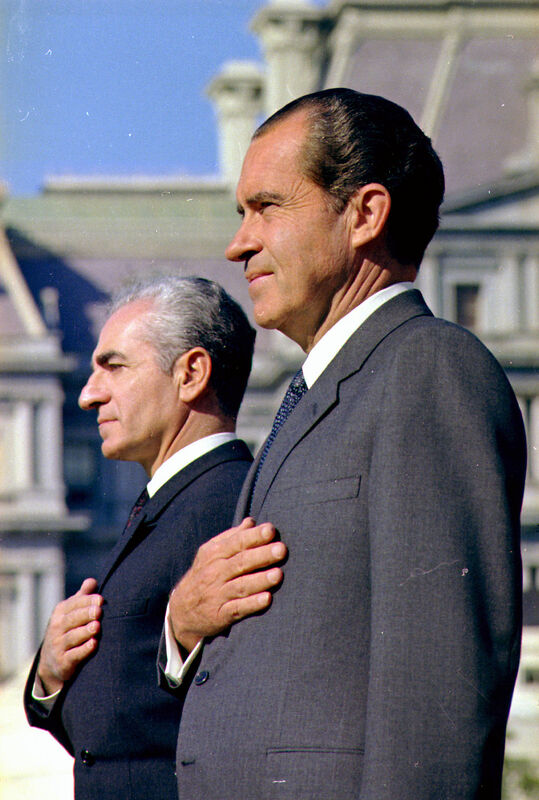 That removed a very popular man from power and strengthened the rule of the Shah. The US support for the tyrannical Shah and his reign of terror fueled the hatred towards America by the Iranian people. Consequently, it helped Islamists to seize power in the 1979 revolution. The US broke its ethical principles when it opposed the unification of Vietnam contrary to the Geneva Accords. This was because it knew communist national party would win the planned elections. The end result of this was a war whose cost was hundreds of thousands of lives, rise of global anti-americanism and propaganda weapons handed to totalitarian communists and other US haters which have continued to be wielded until now. When the Soviet Union attacked Afghanistan, the US began to arm the Afghan resistance and the so-called Mujahideen. Much of the training and materiel offered by Americans ended helping the Afghan Arabs that came from various countries to fight with fellow Muslims against the invaders. They learned to fight against the Soviets as volunteers and returned to their home countries radicalized and dedicated to spread the gospel of militaristic Islam. Al-Qaeda was born around the networks thus created, and after the Soviet Union came down they turned their weapons against the US and the West. After the islamistic revolution in Iran Americans made a decision to support Iraqi dictator Saddam Hussein in the war he was waging against Iran. There is certainly no one who needs to be reminded how the Iraq-US relations developed from 1990 onward. I could bring out other sins by the US, but the lesson should be quite clear by now: Every time when it has acted against its own high ideals, that has eventually damaged also America. Highly ethical, ideological and consistent foreign policy eventually leads to the best results, even if the ugly realpolitik is very tempting. Now, after the death of 298 civil casualties on the Malaysian plane shot down, how good does the idea of arming and supporting pan-Russian fanatics, badly organized and unruly catalysts for civil war and other warmongering nutcases really look like? Your PR damage because of Southern Ossetia was relatively limited, but now the whole Russia is threatened with a trade blockade but also with infamy and status as a pariah state. You can defend your actions by calling “but look at America!” In that case it would serve you well to remember that the US has mostly learned from its mistakes and has admitted the wrongdoings – and, on occasion, extended an apology! You could, for instance, make a comparison between the Iraq policies of George W. Bush and Barack Obama. Your second option is that you blame the downing of that plane on Ukraine, CIA, Jews, NATO or anybody else than the heavily armed “adventurers” you support; this is exactly what so many people on the internet do as “putinists” and paranoid people living in their fantasies warning against russophobia. There is a third option. It is that you withdraw your support from the separatists, begin to adhere to the laws and regulations of the international community and start acting like an ethically strong and consistent state. This includes an open, democratic and even painful re-evaluation of your actions. What would you think is the best option for Russia and its people in the long run – and also for the whole world?